Make your party venue look amazing with Entertainer Rockin' Rachael's useful decoration tips! 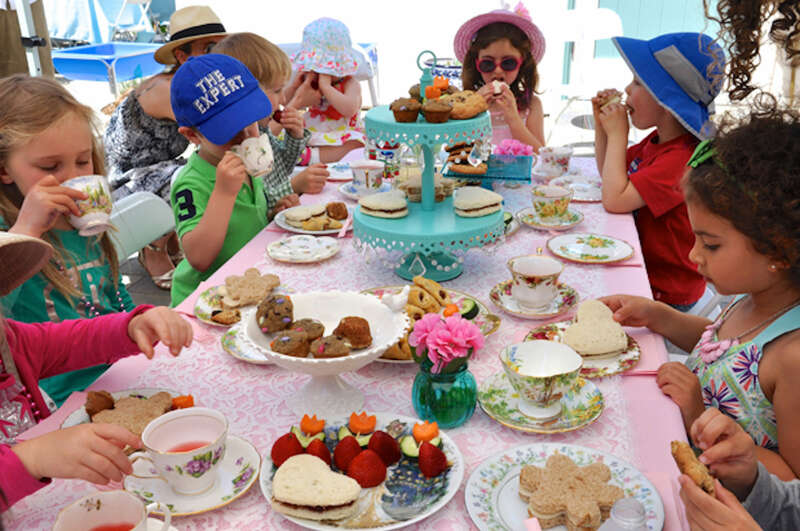 Decorating your child’s party venue does not have to be stressful or break the bank and is part of the fun of throwing a party! Parents will be impressed with your effort and consideration, whilst the children love partying in a fun looking environment. 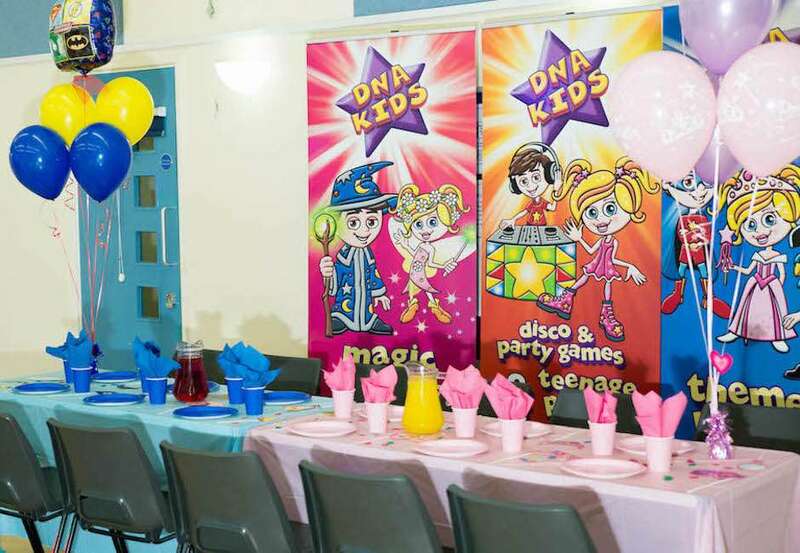 Decorations can be as easy as some themed balloons, beautiful tablecloths or a personalised banner on the wall – remember, simple can be effective! Better still; make it fun and part of the build up to your party. The birthday child will love being a part of the creative process! You can make bunting, paper chains and add designs to your balloons or table cloths yourself to get a unique personalised feel – bright colours always look great! Spare fabric can make cute bunting or you could get some from a local market and cut it into triangles spaced evenly apart on some strong string or rope. With paper chains, you will need to supervise your child when cutting the paper into the correct shape but let them design or colour them and stick together. Children’s names hung up as bunting, i.e. 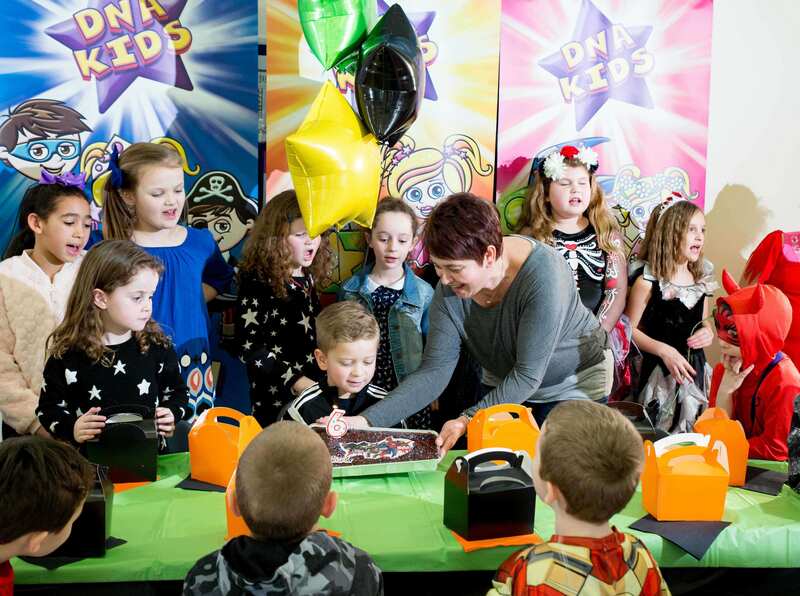 L U C Y always look lovely and make the birthday child the star of the show, although your DNA Kids entertainer will do this as well! As for Halloween, Christmas or Easter parties, to save money, pick up decorations or crafts early to make them whilst they are cheap, rather than 3 days before the party! Theme it for added fun! Incorporate your child’s favourite character into the decorations if you can – Paw Patrol, Shopkins, Disney Princess, Trolls, Star Wars and Avengers etc. These are thoughtful and provide great photo opportunities and talking points for the children. You can usually pick up character themed napkins, paper plates & cups and tablecloths to match. Scene setters to go on a wall also look fun and cardboard cutouts are available in some shops, although usually cost a little more. If you have a limited time in which to leave the party venue, think about what will be easiest to remove, as well as whether tape will mark the wall? For our Magic, Disco & Games Party, simple black tablecloths place over your tables with sprinkled silver/gold star confetti looks effective and matches the theme perfectly. There are also many Harry Potter themed decorations to buy. Beach Parties look great when bright colours and Hawaiian flowers are used – Leys aren’t just great to wear but look good for decoration too! One Beach Party I performed at had an inflatable boat and deck chair with sand and palm tree balloons, which made it feel so summery (even though it was raining outside) that it transported me to Hawaii! Wacky Science Party decorations on a budget can be a little trickier, however, you can find some great science themed partyware online. Making teenage parties go POW! For teenager parties, such as our Laser Disco Party, using pastel colours or your child’s favourite colour keeps things simple and grown-up. Light-up balloons look great at our UV Glow Party and add to that mini night-club feel. I performed at a party in a barn once, which looked amazing! They simply put string lights around the outside, which fitted with my light-show perfectly. I had a big blank wall for the laser to project onto clearly – the teenagers commented immediately on how cool it was! Whatever you do, just remember, don’t stress and have an amazing party!